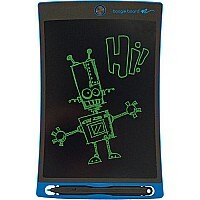 A natural pen-on-paper experience, on an LCD writing screen, erasable with the touch of a button. 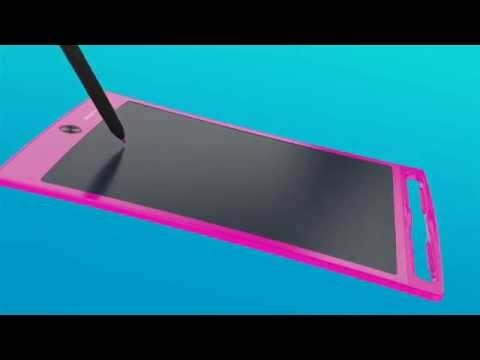 Now kids can save, edit and share their work with the free app. 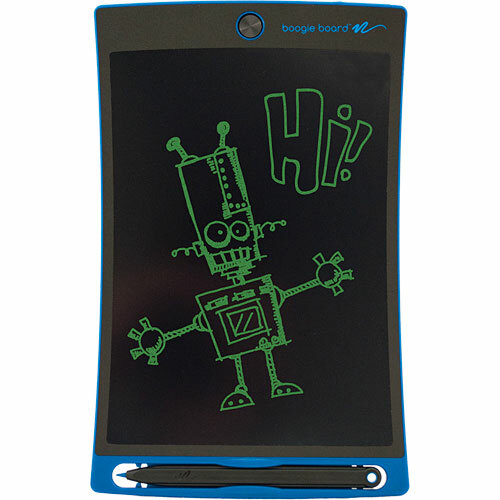 Make lists, notes and doodles on the new, brighter 8½" LCD surface. Lightweight and scratch resistant, with a detailed user guide. Includes 1 coin-cell battery. For ages 4 yrs-adult, from Kent Displays. 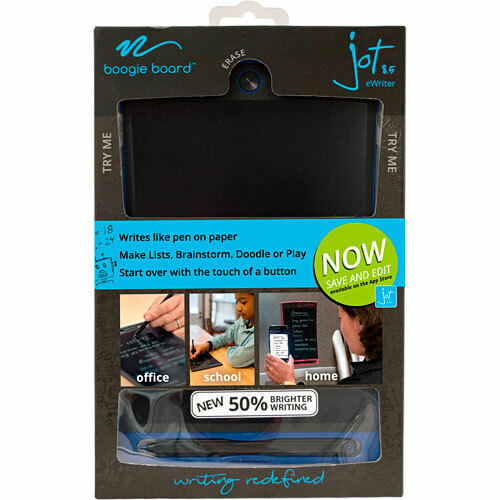 Eliminate the need for paper and sticky notes! Pressure-sensitive surface for making thick or thin lines!